UAE, June 9, 2015 – H.E. Hussain Al Hammadi, UAE Minister of Education, has announced that the five principles to unleash the potential of Information and Communication Technologies (ICT) agreed upon at the International Conference on ICT and Post-2015 Education held recently in Qingdao, China, are the same as those guaranteed by the UAE’s Constitution and Legislations. These principles are in line with the development strategy of UAE Vision 2021, the UAE National Agenda, and the Ministry’s Education Development Plan 2015-2021. H.E. Al Hammadi pointed out that since the declaration of the Union, the UAE has realized the value of five principles, namely, the right of education, equity, integration, quality education and lifelong learning, which formed the main themes of the conference. 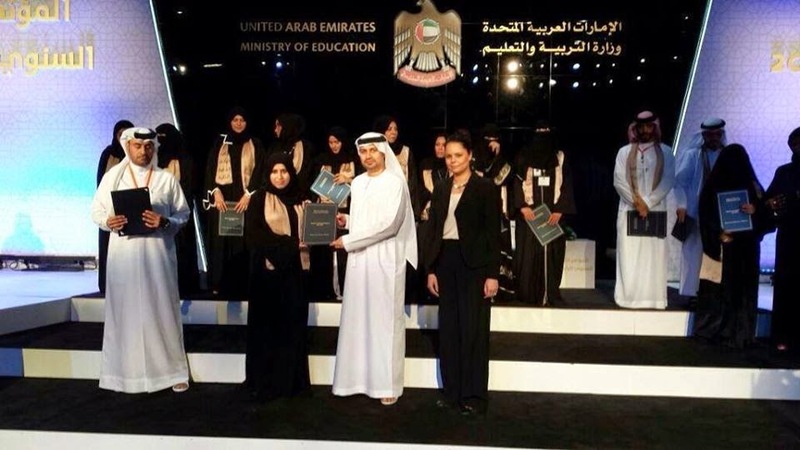 The UAE also realized early on and proactively that it is important and necessary that everyone gets good, equal and comprehensive education in order to build modern, sustainable, inclusive and knowledge-based societies. H.E. Al Hammadi expressed his views at the conference where he headed a high-profile official delegation from the UAE that included H.E. Abdul Rahman Al Hammadi, Assistant Undersecretary of Support Services. The International Conference on ICT and Post-2015 Education was inaugurated by Liu Yandong, Vice-Premier of the State Council of China, in the presence of the Ministers of Education, a host of senior educational officials, experts and specialists representing over 90 countries. Speaking on the occasion, H.E. Al Hammadi said that the global educational system is witnessing rapid transformations and long-term directives that are directly related to major advances in ICT, cognitive revolution, and the knowledge-economy society. This was evident throughout the conference, where various topics were discussed during the specialized panels. He emphasized that the UAE enjoys a leading position in terms of providing education systems that keep pace with the changing time as confirmed by UAE Vision 2021. 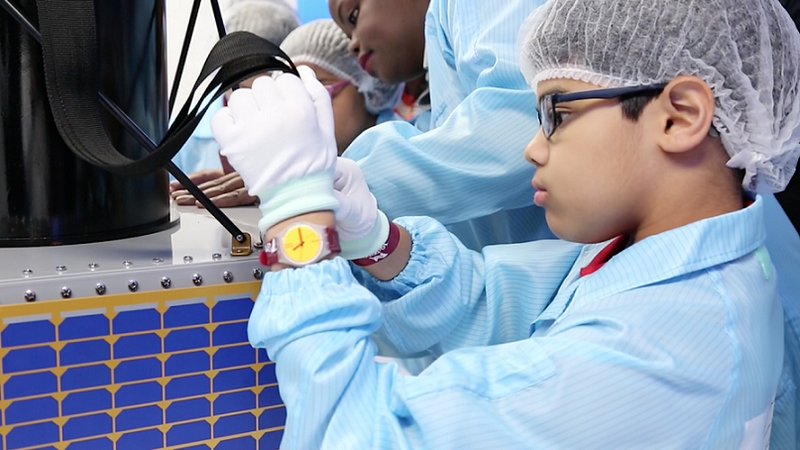 The vision calls on the need to invest in science, technology and research at various levels with special emphasis on education and its development to provide students with the knowledge and skills of the 21st century to increase specialized scientific abilities in the present and the future. H.E. Al Hammadi revealed that attendees focused on e-Learning, and the UAE, as it seeks to achieve the highest global competitive rates, talked about ‘smart’ learning and post smart learning. The country has also adopted a series of development programs that support this renewed type of education in its curricula, teaching methods, assessment and exam systems, infrastructure, and extracurricular activities. These, along with the support of an elite list of educators and administrators, will support the Ministry in developing a school environment that incubates creativity and innovation while stimulating ingenuity. These concepts have been adopted by the global education systems now and were revisited during the deliberations regarding the future of education and technology beyond 2015. H.E. Al Hammadi confirmed that ICT for learning and other fields is no longer a specialized skill, but is the basis for success in modern societies. He noted that the Ministry of Education adopts what was affirmed by the conference about the importance of integrating basic ICT skills and digital literacy in the curriculum of primary and secondary schools. Moreover, it provides many unprecedented educational opportunities to enable Emirati students to use digital devices to enhance their familiarity with modern sciences, knowledge, and specialized research. 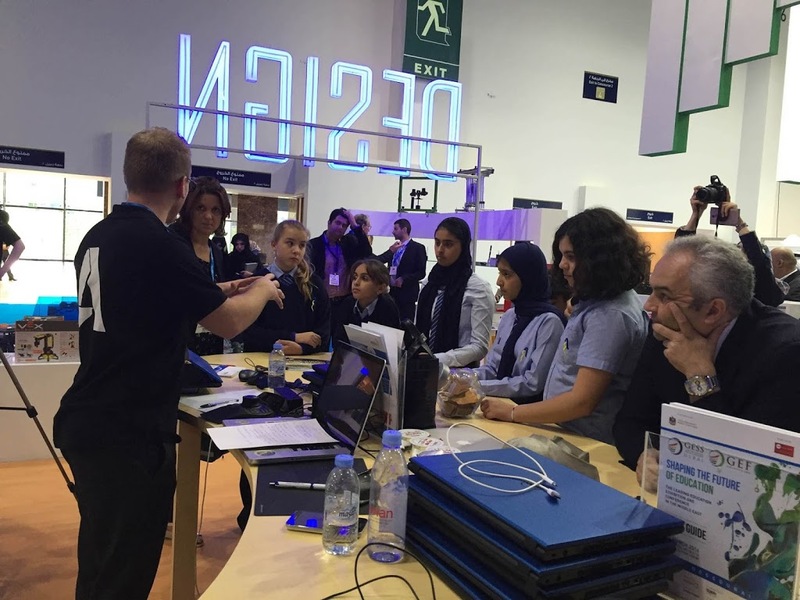 Additionally, the Ministry focuses on developing students’ administrative, educational and technical skills that will help them in utilizing knowledge to keep abreast with the latest technology by inventing smart teaching tools, reflecting the distinctive capabilities of the UAE’s educational arena. H.E. Al Hammadi pointed out that the UAE Ministry of Education, in cooperation with its strategic partners and institutions concerned with the education sector, is developing comprehensive National Monitoring and Evaluation (M&E) Systems in order to provide sound evidences to formulate policies on recruitment and use and measure the impact of ICT in education. He also added that through these joint efforts the Ministry aims to enhance the management of the educational system, ensuring compliance with the highest standards of educational practices and strengthening the planning, implementation and follow-up process, in addition to promoting sustainability concepts in education. H.E. Abdul Rahman Al Hammadi stated that according to the China Conference, the requirements of educational development include good education, quality of educational services related to modern educational and service facilities, advanced equipments, and innovative educational techniques and technology. He said that these requirements are the most important elements for positively changing school operations. 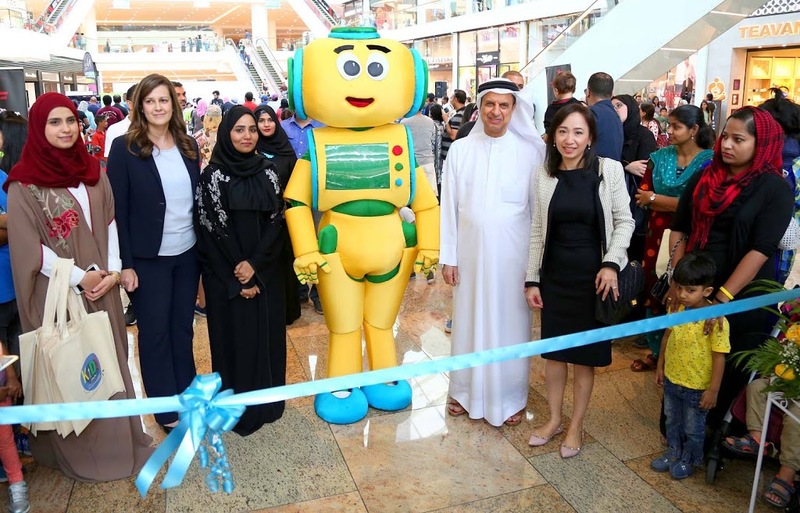 They are also effective tools for supporting the Ministry’s objective of enhancing schools in the UAE and making them attractive for students, teachers and administrators. 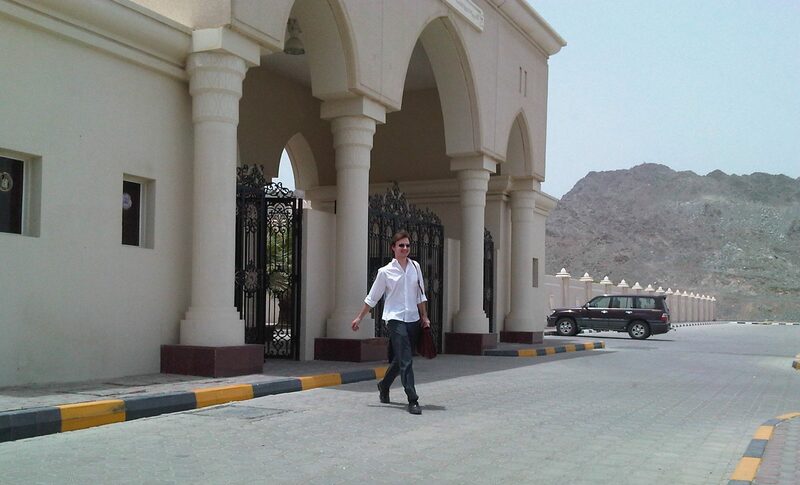 “The Ministry has approved new designs that aim to develop modern schools in the UAE. We look forward to opening the new schools soon in line with our efforts to achieve the objective of our development plan and keep pace with global movements. The schools will include sustainable facilities developed according to the highest standards of Green Buildings, an institution developed in accordance with the special specifications of smart learning systems, as well as special-purpose facilities such as rooms for learning resources and enrichment activities. The modern schools will also include technical and scientific laboratories that are being developed in line with the requirements of advanced curricula and innovative teaching methods. 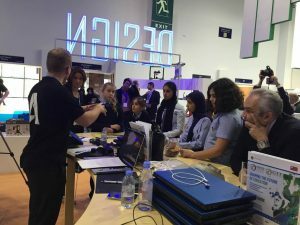 The Open Classroom is one of the highlights of the modern schools, as they support the objectives of the educational development plan aimed at providing high-quality service and educational outcomes to enable students to enroll in the best universities in the UAE and abroad without prior preparation,” H.E. Abdul Rahman Al Hammadi added. H.E. Abdul Rahman Al Hammadi said that the Ministry is aiming to enhance the operational efficiency of schools in the UAE through a series of roles related to administrative and financial affairs, pointed out that the step will facilitate the educational process, meet the daily needs of the schools in accordance with the applicable regulations and in a flexible manner, to achieve the objectives of Q-Scale Project and other leading initiatives. The final statement of the conference emphasized the importance of encouraging lifelong learning, promoting innovative and advanced Monitoring and Evaluation (M&E) methods, and supporting the concept of accountability. It also reflected the urgent need for adopting the principles and methods of online education, and activating the role of technical and vocational education and training (TVET) in improving learning paths and enabling all segments of society, especially those with special needs, to gain access to educational services. The statement also highlighted the significance of ICT-based innovative educational tools as main contributors in maximizing employment opportunities, especially in the fields that require certified skills. UAE steps up efforts to address book piracy in schools. 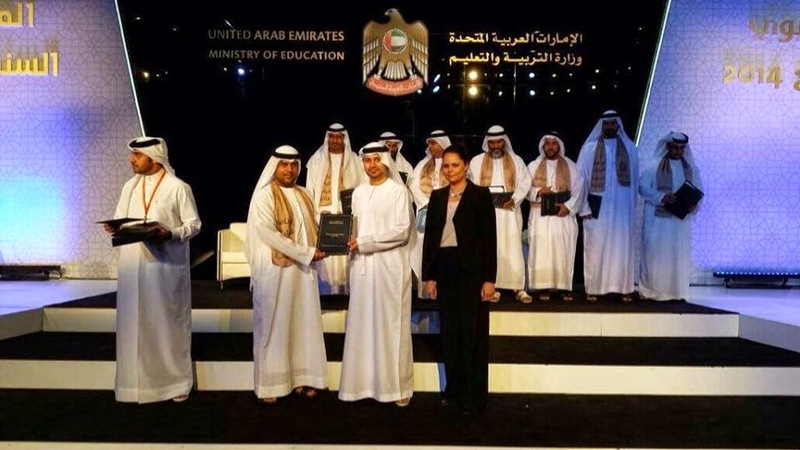 [UAE, November 08, 2014] – The Arabian Anti-Piracy Alliance (AAA), the leader in combating piracy within the GCC region, recently honoured the Abu Dhabi Department of Economic Development (DED) for its significant contributions in the battle against book piracy in the UAE. The AAA lauded the agency for implementing the Middle East region’s first ever campaign against book piracy. In recognition of these efforts, the AAA presented a special plaque of appreciation to the Abu Dhabi DED in a special meeting also attended by representatives of the publishing industry. bu Dhabi DED ran a successful campaign against book piracy across schools in Abu Dhabi—conducting inspections to see if pirated books were used in these schools. The inspections resulted in the discovery and seizure of pirated books that were in violation of the UAE copyright law. The Dubai-based Arabian Anti-Piracy Alliance is dedicated to curbing piracy in the Middle East region through the implementation of a comprehensive anti-piracy program that includes strategic activities like public awareness campaigns, aggressive lobbying and legal action against IPR offenders. The Alliance, which evolved from the anti-piracy program established by the Motion Picture Association in 1996, currently has full time operations in the UAE, Saudi Arabia, and Kuwait, where its Operations Managers closely coordinate with governments to safeguard against copyright and trademark infringements.